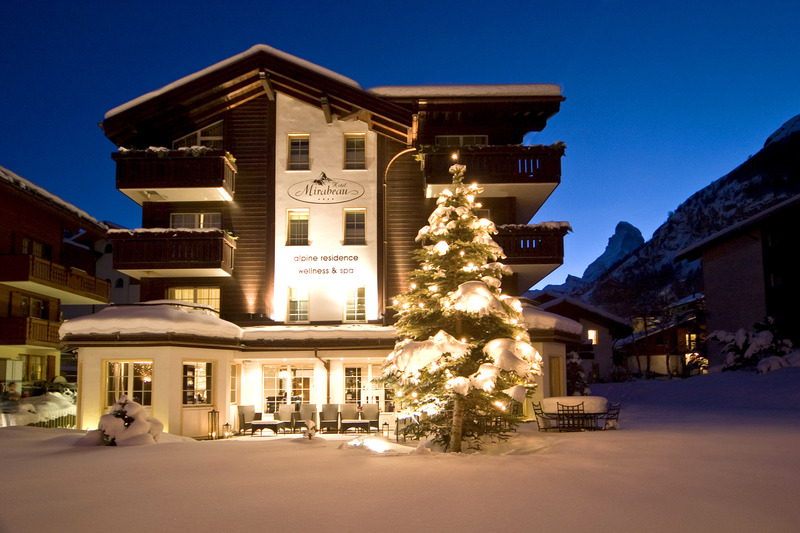 The Hotel Mirabeau & Alpine Residence is currently managed by the 2nd and 3rd generation owning-family Julen. The youngest daughter, Marie Julen and her fiancé Francis Reichenbach entered the family business in spring 2014 and are actively supporting Sepp & Rose Julen in the daily hotel operations. 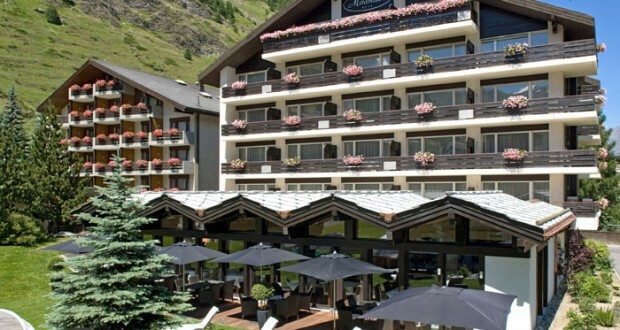 The Hotel Mirabeau (4* superior category) is situated in a pleasantly quiet area in the heart of Zermatt. 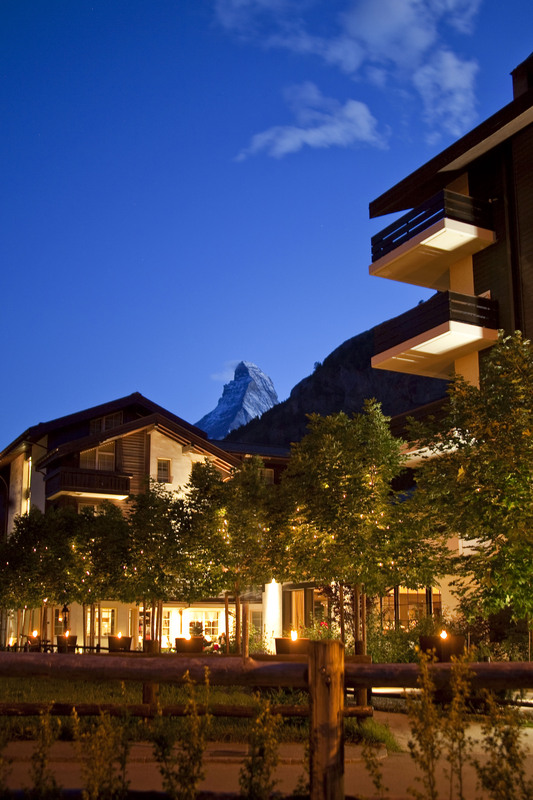 You can enjoy the magnificent alpine surrounding from our hotel garden and outdoor terrace as well as a stunning view of the Matterhorn and of the Mischabel summits. All mountain railways and the main train station are easily reachable within a couple minutes walk. The Hotel Mirabeau consists of 61 elegant rooms and suites, of which 19 of them are located in the second building the Alpine Residence. the 42 twin rooms, junior suites, suites and family suite have been fully renovated in spring 2007 and have been adapted to the elegant alpine style of the Alpine Residence. 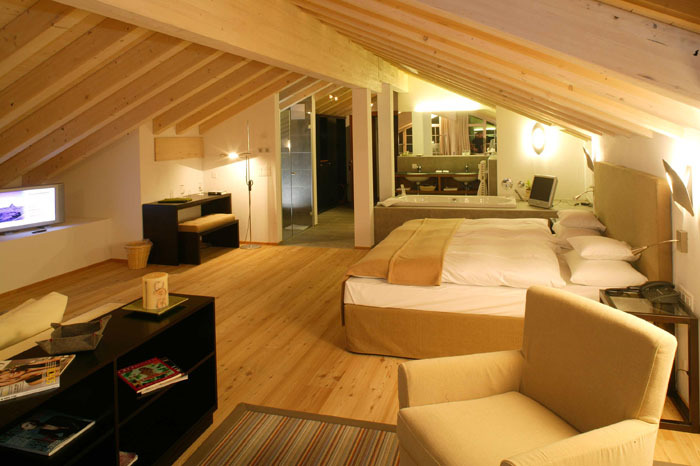 (subterraneous connected to the main building) Of the 19 modern junior suites and suites, all rooms have balcony access and most of them have a lovely Matterhorn view. Natural materials such as larch wood, fir wood, granite as well as woollen materials, felt and pelt accentuate the alpine, modern atmosphere. Executive Chef Alain Kuster adapts his cuisine depending on the season and never fails to blend regional pro- duce to his dishes. 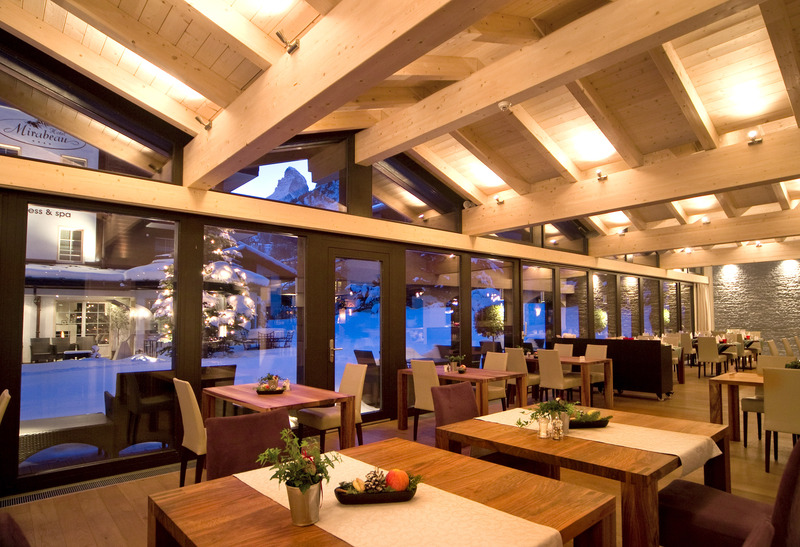 Our half-pension room package includes a sumptuous 5- course dinner menu served in our exquisite all-day dining restaurant “zerMatta”. For those who seek to eat more light and healthy, zerMatta of- fers an array of healthy dining options. Greatly appreciated are our traditional Valaisan evenings, the gala din- ners and the themed buffets. The gourmet restaurant “Le Corbeau d’Or” is recommended in the Michelin Guide and is with its awarded 15 points Gault Millau a true classic. Wine & Dine in “Josef’s Wine Lounge”. Here we offer an exceptional selection of international, but also Valaisan and Swiss wines by the glass – a perfect setting to degust our finest wines!